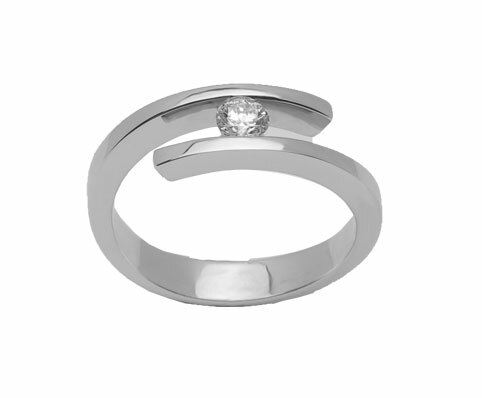 Solitaire ring in white gold with diamond brilliant-cut of 0,19 carat. Wesselton-vs quality. As set out in the resolution of the United Nations, the diamond described here has been purchased from legitimate sources not involved in funding any conflict. Measurement of ring: 14 tatum. Made by master craftsmen with jewelry tradition since 1910. Spain peninsulaCeutaMelillaBalearicsCanary IslandsInternational zone 1International zone 2PortugalUnited KingdomGermanyItalyFranceAustriaBelgiumNetherlandsLuxembourg FREE!